Jayne and Mike Flinn of Boxfli. Let’s face it—brown boxes are boring. But a Newport Beach couple is doing something about it. Jayne Flinn is the owner of Flinn West Real Estate Company, while husband Mike is the president of Scope Packaging. 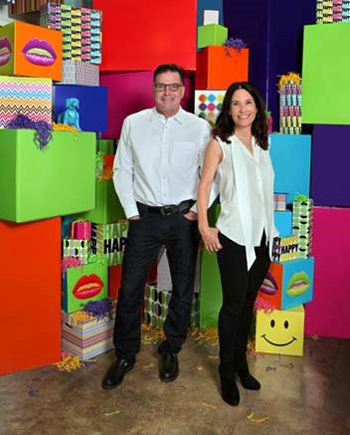 The Flinns have joined forces with longstanding partners and friends, Mike and Sonja Saltman of Las Vegas, to create Boxfli, a new Orange County-based company that is modernizing shipping and gift-giving with the philosophy that brown is boring. 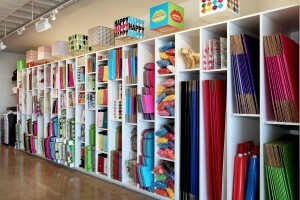 Looking more like art than a shipping box, the rainbow-colored selection of boxes feature exclusive designs created in-house, and are available in all shapes and sizes in the company’s retail stores and on the company’s website at boxfli.com. Patterns range from bold stripes, modern-art style lips and preppy argyles, to seasonal celebrations and more. Eco-friendly, the boxes are made from post-consumer recycled paper and can serve as a gift box that doesn’t require gift wrap. 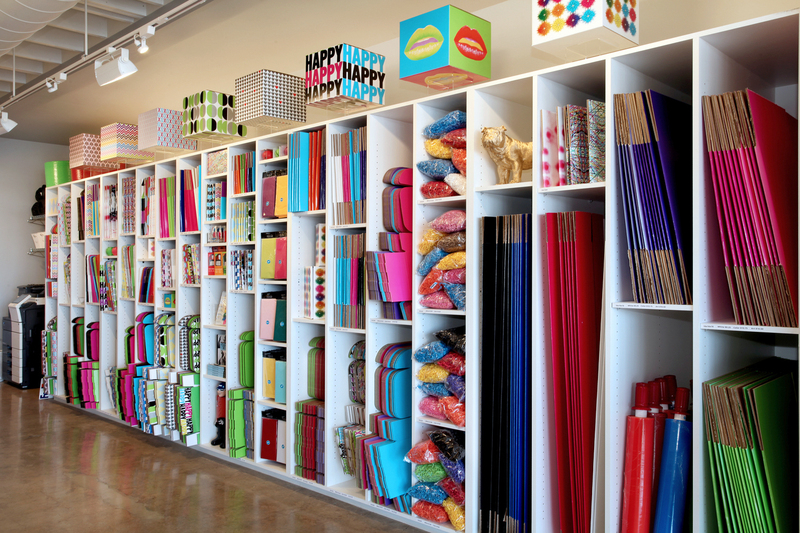 Boxfli has unveiled its first two shipping and retail shops: 23981 Alicia Parkway in Mission Viejo, and 1904 Harbor Blvd. in Costa Mesa. create an original package by customizing it with colorful tape, bubble wrap, and crinkle filler. In addition, customers can choose a scent to spritz inside the box, adding to the excitement of receiving the package for the recipient. Boxfli also offers full shipping and packaging services, unique novelty gifts, greeting cards, notary services and more. The fun atmosphere of Boxfli is also seen in the colorful mail boxes, where customers can rent the mailbox color of their choice. There is also a flat screen TV that plays classic movies, free Wi-Fi, and a large communal table for customers to get their work done, sort mail or be inspired by experimenting with colorful shipping options. Boxfli has plans to open other shop locations in California and Nevada soon. For more information, visit boxfli.com.